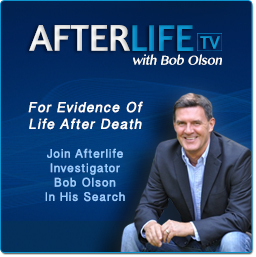 On this site, author of Answers About The Afterlife and The Magic Mala, host of Afterlife TV, and former skeptic & private investigator Bob Olson reveals to you a list of the most gifted psychics and mediums he has tested as legitimate! 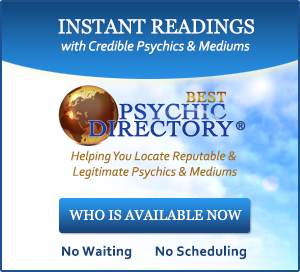 He calls it his "Genuine & Legitimate Psychic Mediums List." These are the psychics and mediums he has personally vetted using his 15-point test. Since 1999, Bob has tested hundreds of psychics and mediums from around the globe. Some readings were lacking, some good, and some were absolutely extraordinary. The people listed on this site fall into the extraordinary category. There really are people who can communicate with your loved ones in spirit. They are known as "mediums" or "psychic mediums". There also really are people who can intuitively read your energy, such as your aura or Universal energy. They are known as "psychics" or "intuitives." Psychics help people to find clarity and direction in life, while mediums typically focus their readings on communicating with spirits or spirit guides. It's not uncommon, however, that mediums sprinkle some psychic messages and psychics sprinkle some mediumship into their readings. Bob Olson is a former private investigator who has researched psychics & psychic mediums for over 15 years. 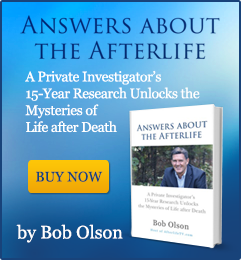 He is also the author of Answers about the Afterlife: A Private Investigator's 15-Year Research Unlocks the Mysteries of Life after Death and The Magic Mala: A Story That Changes Lives. Once a cynical skeptic, Bob met his first genuine and legitimate psychic medium in January of 1999. The medium conveyed messages from Bob's deceased father and grandmother that were undeniably accurate, including details such as names, dates and information about his life that this stranger (the psychic medium) could never have known. 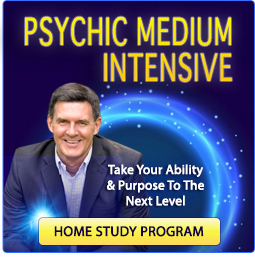 This spirit-to-medium reading opened Bob's skeptical mind to new possibilities, and he has consequently spent the past 14 years studying and investigating psychics, mediums and life after death. 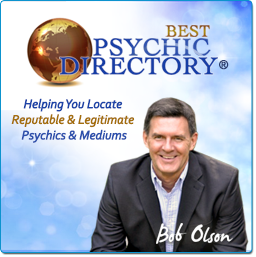 Bob Olson is the only psychic, medium & afterlife expert who is not a psychic or medium himself. If you're a talk show host or TV/documentary producer, visit the Info For Media page. "My mission on this site, Best Psychic Mediums, is to help you locate legitimately gifted psychics and mediums. I want you to experience the blessing of communicating with your deceased loved ones, which is the role of mediums. And when your own intuitive connection seems clouded, I want to safely lead you to insightful readings that give you the direction you need, which is the role of psychics. "I'm motivated by the idea of helping people feel the inner peace that comes with "knowing" we survive death. I want to comfort the grieving by helping them connect with their loved ones in spirit, and to help them know this connection is always there. I want everyone to know--not just believe--that death is not to be feared, but rather, the spiritual realm is our true home, which is free of all human suffering and filled only with the love & joy of the divine."